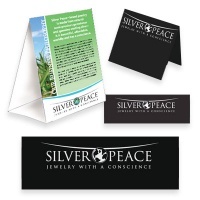 Silver Peace™ Marketing Kit For Home Parties , etc. These marketing materials are available exclusively for Wholesalegemshop retailers to help market our products. 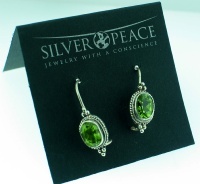 The Silver Peace™ brand is most useful for small businesses that prefer to market under a brand. The kit includes earring cards table-tents and an attractive promotional sheet that describes how the jewelry is sourced using fair trade practices.